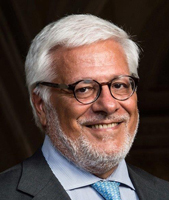 Francesco Gianni is one of the founding partners of international law firm Gianni, Origoni, Grippo, Cappelli & Partners. He is regarded as one of the top lawyers in Europe in the fields of M&A and of structured finance. Due to his position at the pinnacle of the M&A field, Francesco is frequently asked to represent some of the largest companies and investment banks in Europe. His focus is on corporate finance transactions, particularly general public M&A and public to private M&A. He has developed significant experience in privatization processes of Italian state-owned companies, and boasts extensive experience in the arbitration field too.